Who is who in this circus of points and "winner of the year.."
Basic there 3 different associations who register the breed, in fact there are 4 plus even a fifth one on its way... at some point we may end up with one association for each breeder ! 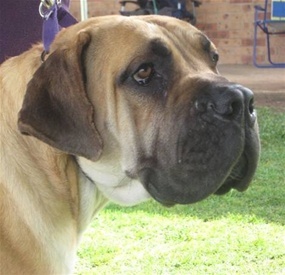 As the first European based registry there is now BBI (boerboel international) ,they are the first and only ones who take temperament testing and health status in to breed approval, the dogs total point index (tpi) is made by 50% looks, 25% temperament test result and 25% health status. This new way of breed approving is very welcome considering the boerboel breed worldwide . BBi is growing as we speak, covering almost every corner of the boerboel planet. Bi is run proffecionaly and in a democratic modern way, with serious peoples involved.